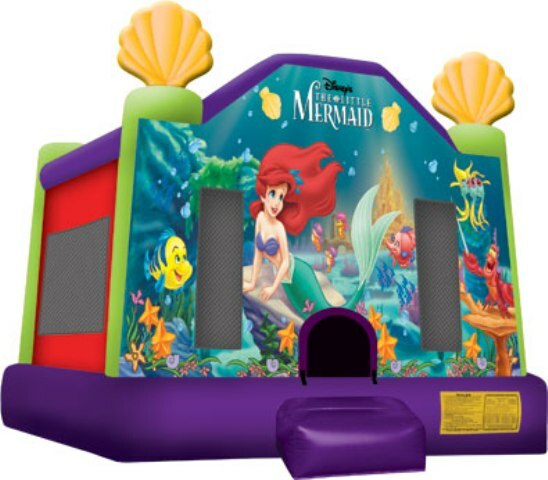 This licensed Little Mermaid large jump brings Ariel and friends back under the sea and your guests can come along! This jumper boasts artwork of Ariel, Flounder, Sebastian, and other friends from the sea floor, with King Triton's castle nearby. Kids can jump away the day with everyone's favorite rebellious mermaid, or pretend they're swimming through an exciting shipwreck! This Little Mermaid jumper is a great way to promote an entertaining form of fitness for kids.